Stylish, well-educated, and well-traveled, Anne Willing Bingham (1764-1801) was one of the most admired women of her day. 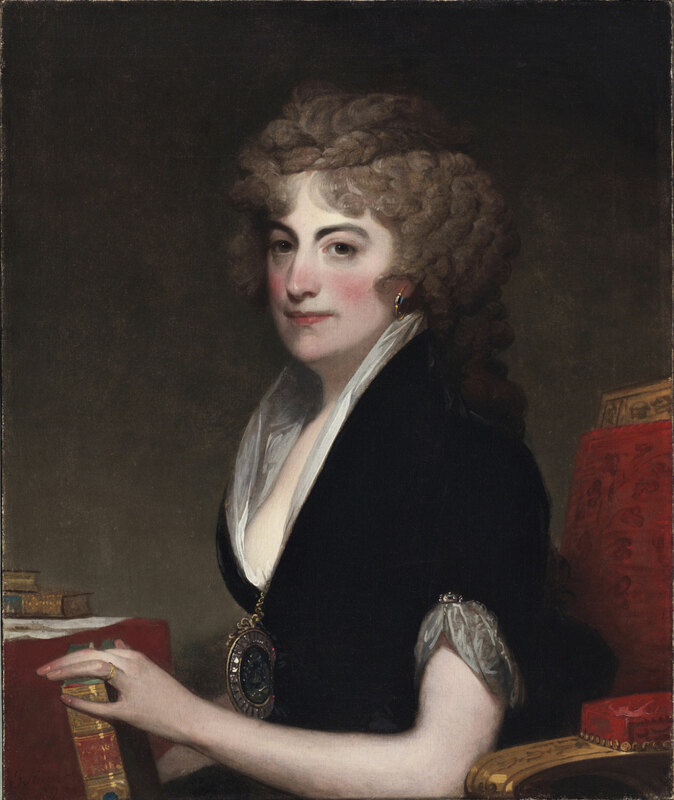 With her wealthy husband, William Bingham, she reigned over Philadelphia's high society during the decade of the city's eminence as the nation's capital, from 1790 to 1800. Gilbert Stuart, who was living in the Germantown area of Philadelphia during this period, painted many of the celebrities of the new republic. He depicts Mrs. Bingham in a plunging neckline that sets off her pale skin and her dazzling jeweled pendant, which probably contains a miniature portrait.